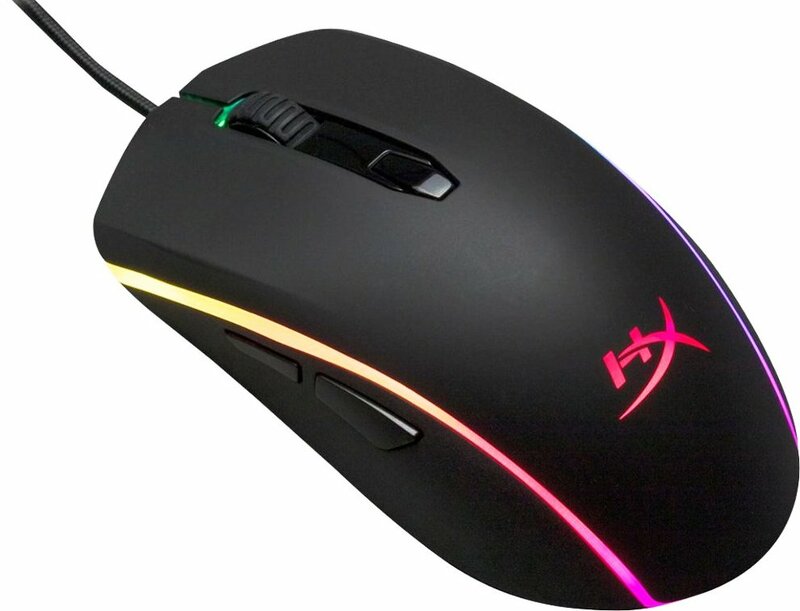 HyperX Pusefire Surge RGB Gaming Mouse is perfect accessory for Pro Gamers. It’s a bit bigger in size than a normal mouse. Pulsefire Surge comes with a antislip, soft-touch rubber finish that makes user feels comfort while using Pusefire Mouse. HyperX Pulsefire Surge Fits in hand perfectly. Its rubberized grips are good. It is fast responsive keeps good feedback on the buttons. HyperX is known for built quality and they deliver it with their HyperX surge mouse. The 360 degree RGB also complements the overall look of the mouse in addition to its shape which may be suitable for small to the medium hand grip. The performance in every game tested was flawless due to its great optical sensor. It is incredibly accurate with the different DPI settings, allowing for extremely accurate mouse movements. You don't realize how handy 2 extra buttons on your thumb are, but once you have them, you dont wanna lose them. The two side buttons are very responsive and perfect for adding hotkeys that are not otherwise easily reachable. 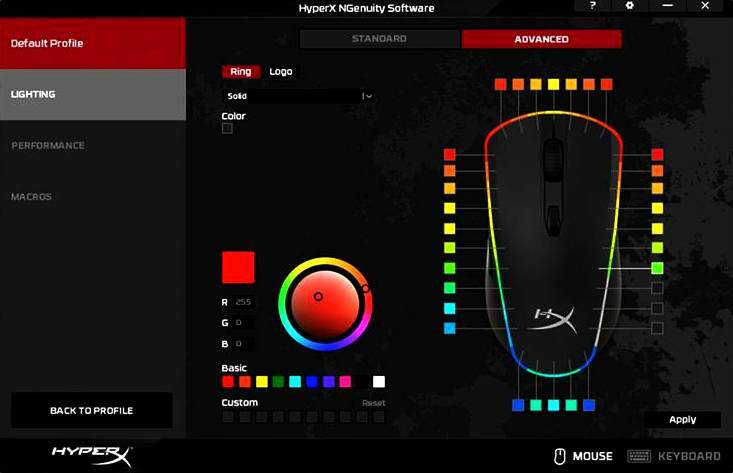 The only issue with the mouse is the requirement to open the HyperX app every time I turn on my cpu so I can set it to my custom loadout instead of the default. HyperX Pulsefire Surge provides dazzling, dynamic 360° RGB effects. Its smooth, stunning light ring will give your build an edge in customizable style. Pixart 3389 Sensor comes with native DPI settings up to 16,000. The sensor’s fluid and responsive tracking provides Gamers with improved accuracy. Omron switches rated for 50 million clicks provide crisp tactile feedback and give you supreme confidence in your inputs. Compatible with powerful, easy-to-use HyperX NGenuity software. Customise lighting effects, set DPI, program buttons and save them to the onboard memory with NGenuity software. It stores customisations to onboard memory. It also saves up to 3 profiles to your Pulsefire Surge and have your setup ready to go, even on the go. Great response on the scroll wheel as well. It's lightweight, able to fit in large hands and it glides like you're on ice. It is a good piece of equipment, and the DPI switch at the top is awesome! It was ready to go the second I plugged it in. Quite happy with this, as it’s a nice change, especially for gaming. It fits the palm like a glove. 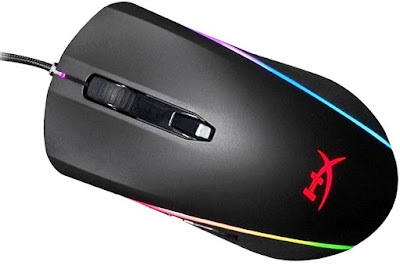 In addition, its a great design not only for being a comfortable mouse, but its a closed casing as well, limiting the debris that can get into the inner workings of your mouse. Overall, an excellent mouse that I would recommend for any gamers. The mouse feels great on the hand, although the side grip for the thumb feels a little bit underwhelming. Despite this, the mouse is gorgeous looking and has a ton of cool lighting features once you get used to the software. It has up to 5 customizable dpi settings and has one of the best optical sensors. Really enjoying using it to play battlefield 5. Overall, this is fantastic mouse. 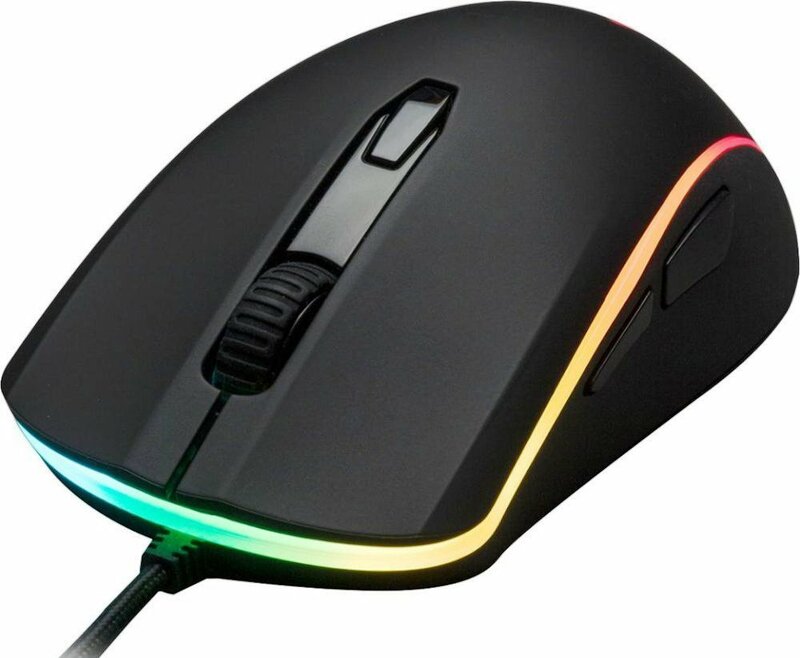 The rgb and simplistic look of the mouse are what caught users attention. This mouse is light in weight. After downloading the software mouse profile is set up, I was amazed out how accurate and precise the sensor felt. The functions of the buttons are limited comparatively but the button presses feel tactile and incredibly satisfying. The cable for the mouse is one of the best. The materials feel excellent and the construction just feels solid and not at all cheap. As like most things... there are a couple of flaws for me with this mouse. The first is very minor and is really not a definitive flaw as it is a user preference sort of thing but the mouse scroll wheel while feeling solid in construction and durable I wish it had a little more tactile response when scrolling. There were a few times where it felt like it need a little more resistance. Again, totally user preference and not a flaw that I would use to say is or should deter you from purchasing this and giving it a shot. 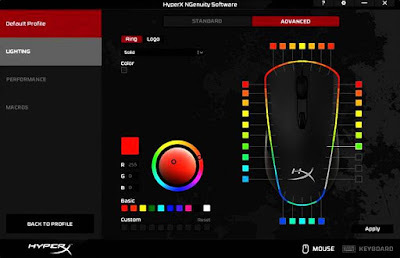 If all that the software isn't I do like the DPI shift in the way that it allows you to set a color indicator for your mouse to flash so, as long as you remember what color is for what, you can associate that color to your DPI setting. Additionally, you can change the number of DPI profiles you have as well, so if you stick with one game or one DPI for all then you can set it up to only have 1 DPI setting. Its remarkable hardware and features like - Six Programmable Buttons, Dynamic 360º RGB effects, Reliable & Responsive Omron Switches, Pixart 3389 Sensor with Native DPI Settings upto 16000 makes it a masterpiece. This is the best mouse I've ever had and highly recommend it for Pro Gamers.